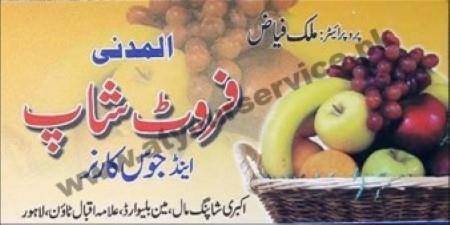 Al Madni Fruit Shop & Juice Corner is located on Akbari Shopping Mall, Main Boulevard, Allama Iqbal Town, Lahore. We serve all kind of light refreshment including fresh fruit juice, milk shake etc. We also sell fresh fruit.